Throw on a pair of comfortable Lounge Pants from MeUndies wherever you choose to sit and relax. Deadspin readers can get 20% off their first order of Lounge Pants (just $48), plus free shipping. Made from the same sustainably sourced, cush material they use in their underwear, the MeUndies Lounge Pant are old school comfort meets contemporary style. Featuring welted side pockets, a drop crotch, a tapered leg, and a snug but forgiving waistband, these Lounge Pants stay in place while you unwind. 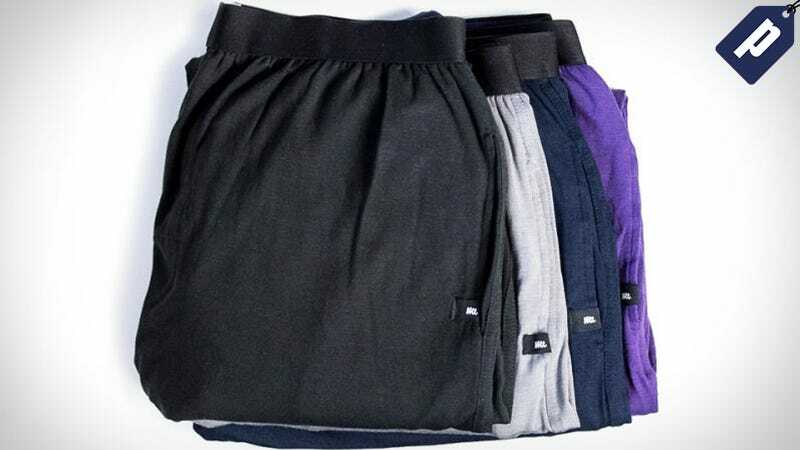 With 20% off, pairs are just $48 and come in five distinct colors; purple, black, dark sapphire, grey, and heather grey.